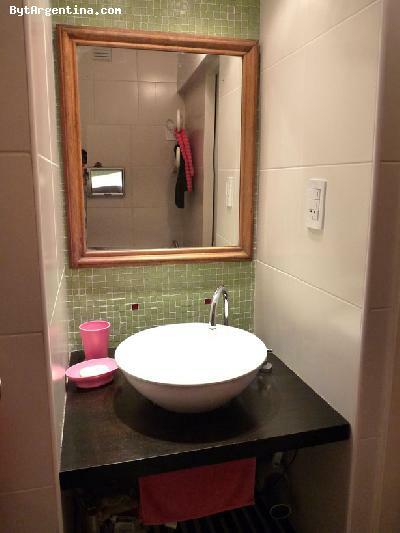 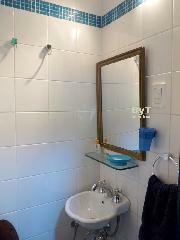 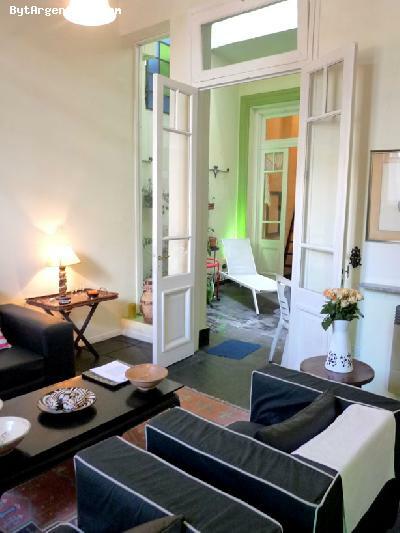 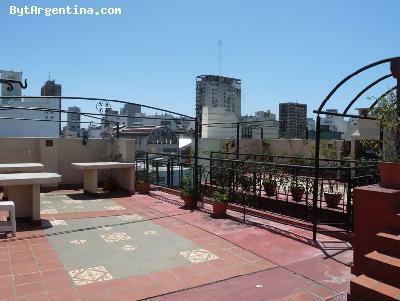 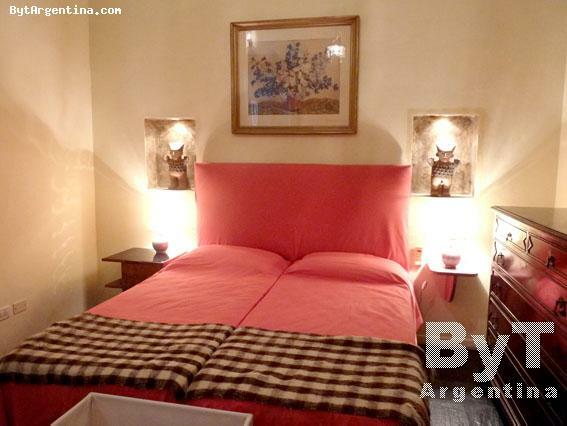 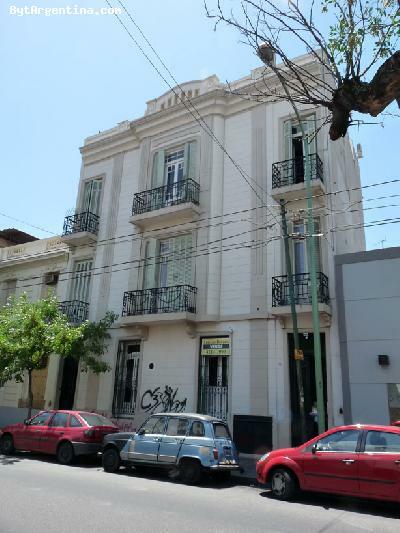 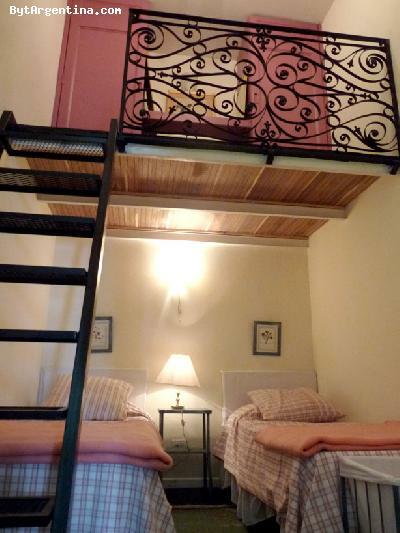 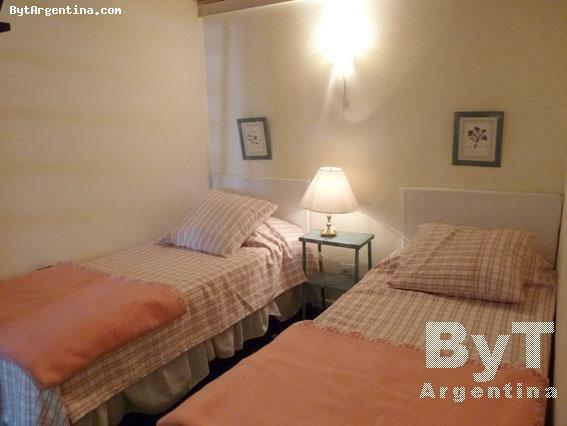 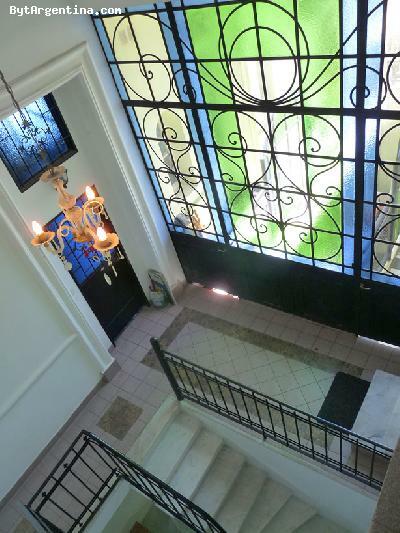 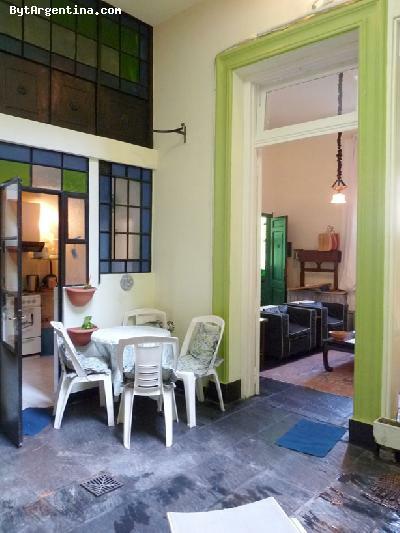 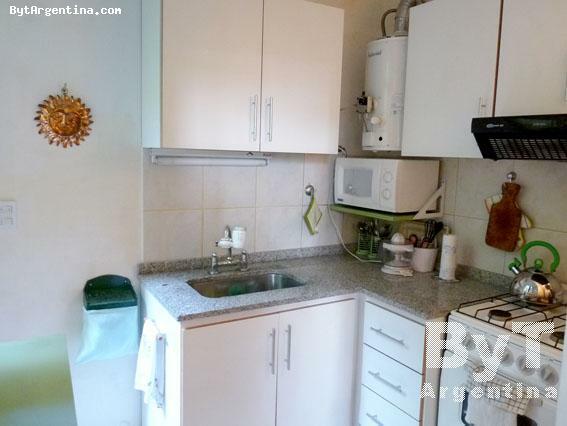 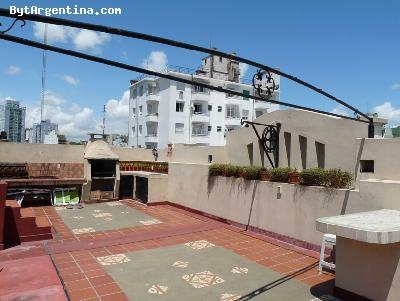 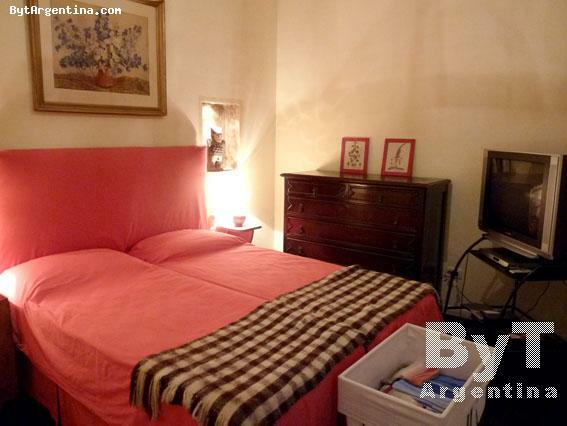 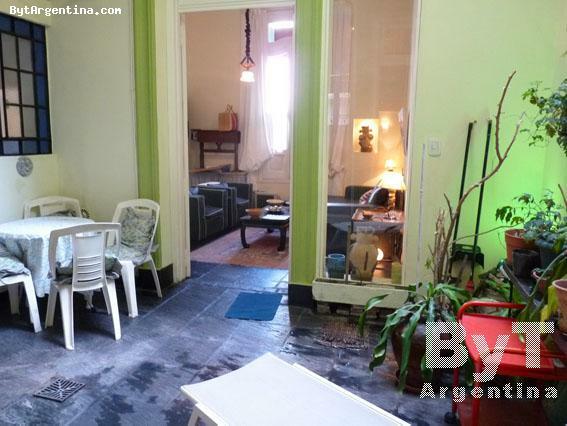 This nice two-bedroom apartment is located in the Abasto neighbourhood, the cradle of the tango, just two blocks away from the Corrientes Ave. with several public transportation, the subway stop Carlos Gardel and the Abasto Shopping Mall. 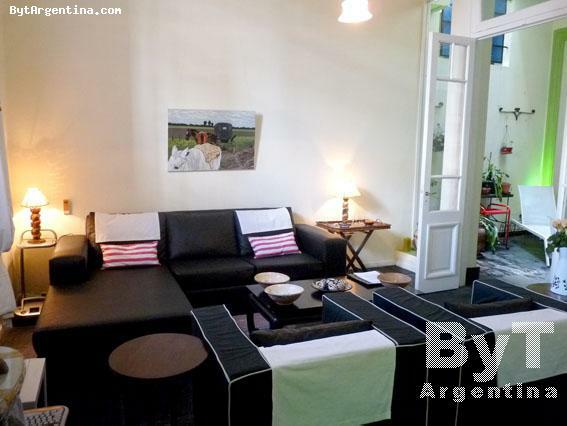 The flat offers a living room with a sofa-bed, two bedrooms with two twin beds each, a nice patio with a dining table, an equipped kitchen, one full bathroom and one half bath. 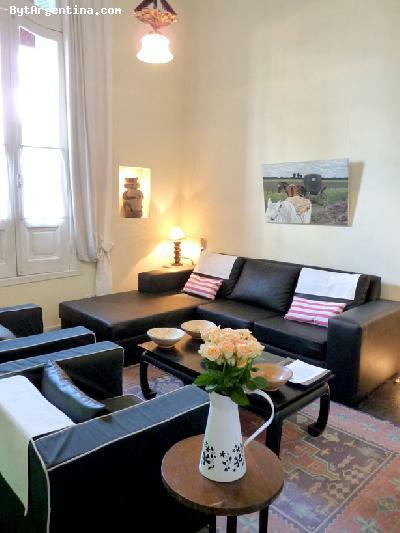 The apartment is equipped with Internet (cable modem), cable TV, DVD, stereo, air conditioning in the living room and in both bedrooms, fridge with freezer, microwave, dishes, kitchenware, linens and towels. 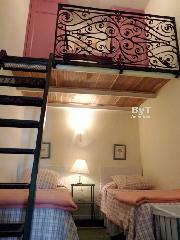 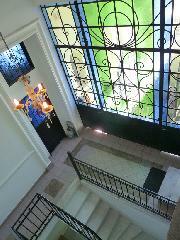 The flat is on the ground floor in a restored old building which offers a beautiful terrace with BBQ and dining area.